The Invest Local Book Blog. : [VIEWER QUESTION] How can I maximize the value of my business over a give period of time? [VIEWER QUESTION] How can I maximize the value of my business over a give period of time? 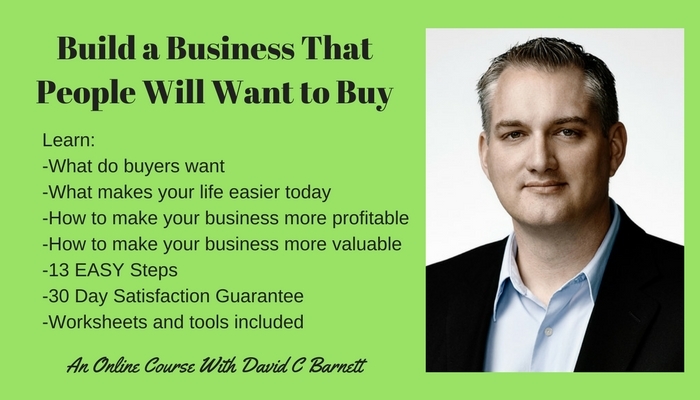 Hey there everyone, It's David Barnett once again and this week I've got a fantastic question from a viewer who asked, what steps should I take to maximize the value of my business over a given period of time, for example ten years? 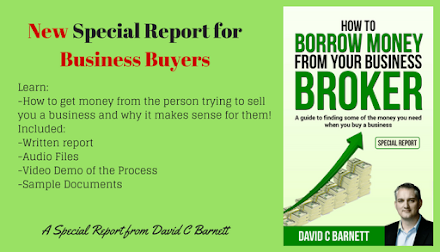 This is fantastic because so often, when I had my business brokerage office, I would have people come in wanting to sell their business basically motivated at the last minute by personal events in their life. They had to come in and try figure out how they are going to sell their business. They had never before that moment being thinking about selling the business. As a business owner, what I believe you should consider is that the business is an asset like many of the other investments in your life and that you should always be thinking about the day you are going to sell it, because you should always be ready to sell in case some personal catastrophe were to come along and force you to liquidate that asset. There are basically four different categories of things that I am going to recommend someone do as business owner who wants to think about maximizing the value of their business to be sold over a given time frame. What is more difficult is when you have opportunities to close sale and you don't do it because you are feeling lazy one day. Many people who get older in years up in their 50s and 60s, they don't have bank loans anymore. They don't feel the pressure of having to work as hard as they can all the time. So they ease back, they fall back on their efforts and that in turn cause sales to go down, it causes profits to go down and if we see a trend, year after year of sales and profits going down, then what a buyer is going to do is assume that that trend is going to continue and make you an offer based on declining sales and declining profits, so we want to maximize profit at all times and work our business just like we have a slave driving boss pushing us every day to make that sale, to deliver that product to make the customer happy. I just mentioned trends. Trends are the number two things that I want to talk about today because if you have a business which year after year have consistent increases in sales and profit, that is also going to be one thing that will maximize the value of your business upon sale. 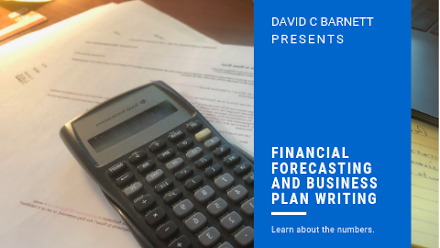 Then it becomes easy to convince buyers that they should weigh their decision about valuation either entirely on the last year because it goes up every year, or even to consider the increase that you are working on in your year to date financials. It shows that there is a trend of growth and that if they buy the business they are going to have increased profit in the future so the trend is certainly your friend if you can make it go up every year. If your sales and profit oscillate; up and down, up and down, year after year then buyers are going to want to use an average - value over a period of time - or if the last two years were declining, they are going to want to put all of their weight on the lowest year, that final year, which is not going to bode well for you; trying to sell. The third category of things you need to watch out for is the type of business. The person who asked this question, likely is already in business, but if you are planning to buy a business and you want to maximize its’ value over the course of time in preparation for a sale; you may also want to consider the type of business that you are buying. Businesses that are industries with a lot of competition, low barrier entries, tend to sell for lower multiples of earnings. Think restaurants or bars. High risk businesses sell for low multiples. If you can get into a business that is less risky, where there is less competition or there is significant barriers to entry like patents or protection like trade secrets, or copyright for instance, think about a manufacturing company for example. Then you are going to get a higher multiple. If you can be in a business where you have recurring contracted revenues, your multiple can get even higher. Think about businesses like insurance brokerages. So, while restaurants typically sell for less than half of what their annual sales are, an insurance brokerage can actually sell for two or three times what their annual sales are because it's that regular contracted revenue that comes in every year. As long as you manage those customers well, you are going to be able to carry that business forward into the future and those revenues. The last category of things that I am going to give you is food for thought to think about is transferability. 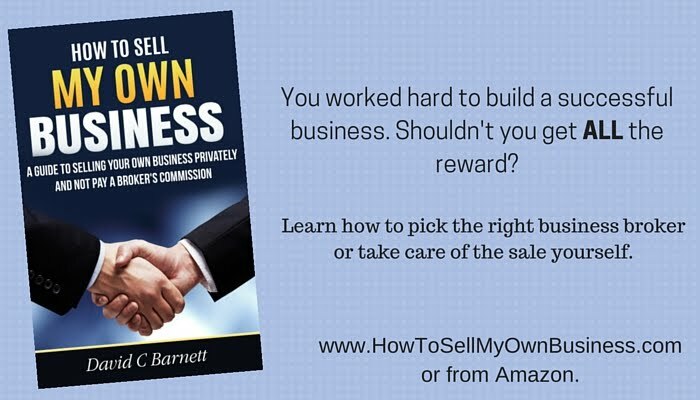 How easy is it going to be for a buyer to take over and run your business. If you have a business where none of the systems or processes are written down, where everything happens in your own head and in order for somebody to take over your business you are going to have to spend six months with them basically mentoring them or would them being your apprentice so to speak, it's going to have an impact on value. Whereas, if some buyer walks into your business and he sees that everything is systematized, everything is written down. There is an operational manual, there is check-list for the employees, there are flow charts showing, what jobs are done and in which order, there is job description, there is an organization chart and everything is set up and followed and everyone knows what they are responsible for and if there is a piece of litter on the floor, you can say the clean-up of the floor is the responsibility of the receiver at the back door, it's in his job description, so the fact that there is litter here, is that guy's fault. That kind of systematization that you find in large businesses and in particular in franchise operation is going to make it easier for a buyer to see that they are going to be able to take over your operation and basically carry the ball, they are going to be able to run with it. They are not going to have to reinvent the wheel and they are not going to rely upon employees or your corporation for the sale because everything is documented and written down. 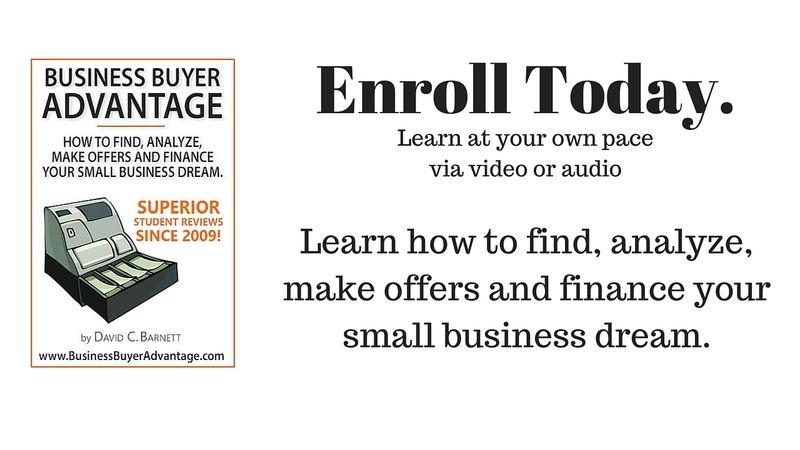 I hope that gives you some great things to work on if you are already in business or if you are planning to buy a business. Thoughts always have to be put in to your exit. I have met far too many business owners who ran businesses for decades and their succession plan was simply to live forever because folks, that just doesn't happen. Anyway, thank you so much for watching my videos and if you like what you have seen, please take a moment and subscribe to my e-mail list. I send an e-mail every week and if you ever become dis-satisfied, it's easy to get yourself off that list because I use mail chimp. 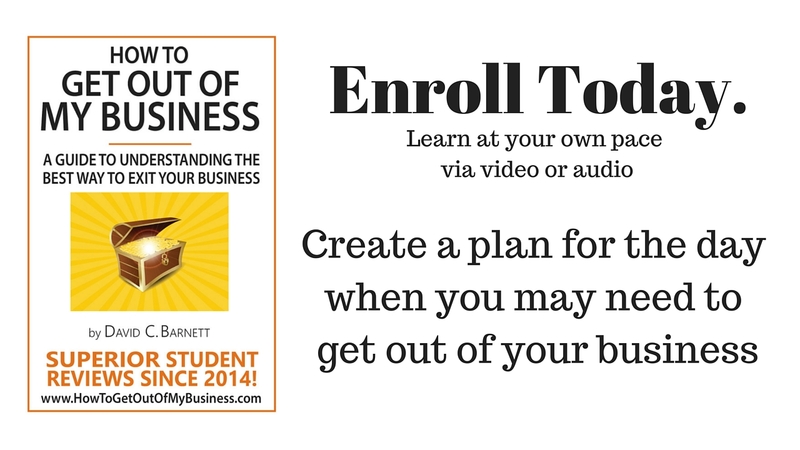 Sign up today, subscribe to my you-tube channel, follow me on twitter. Thank you, have a great day and we'll talk to you later. Hey! You made it to the end of the video, that's great. Don't forget, visit www.investlocalbook.com. Sign up for my e-mal list. It's right down here under the welcome video. Thanks and we see you next time. Looking forward to our Sweet 16 year..